I've been waiting for a Crafsy BOM that excited me as much as the 2012 did and this one just might be it! 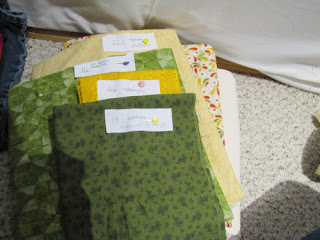 I went way outside my comfort zone by choosing the border fabric (I'm already second guessing how light it is) first and filling in the rest with my stash. Surprisingly I've never done this before and it's nerve racking! 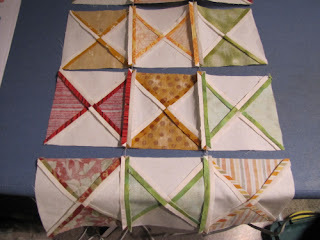 Seams pressed open - I'm doing this more and more. 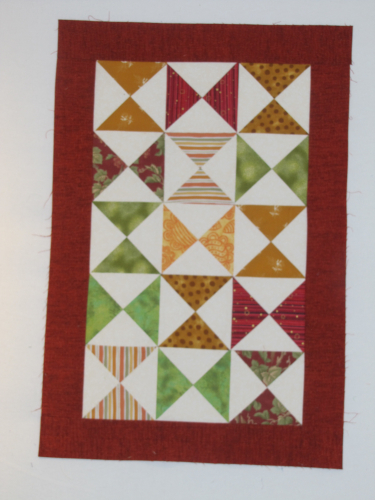 I didn't press the seams open on the border. My points could probably be a little bit more precise, but I'm fairly pleased considering I don't think I've made hour glass blocks before. Incidentally, I didn't make them as per the class instructions. I didn't feel the need to cut or sew triangles.